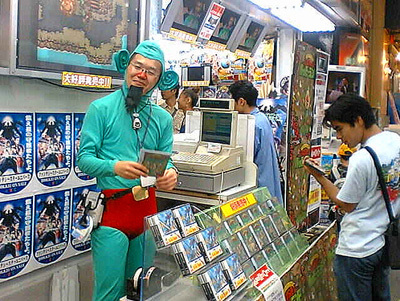 Yeah, we’re aware that you’d rather be hearing all about that crazy new Wii Zelda game, but that’s too bad; instead, get ready for more information than you’ll know what to do with regarding two new titles starring everybody’s least favorite video game character ever—Tingle. Secondly, we have the comparatively-more-normal Too Much Tingle Pack—a DSiWare title which features a collection of “handy tools.” Included is a coin-flipping application, totally conveinent because you just spent all of your money on Tingle games. Congratulations.